The biggest bank in Singapore now has a chatbot. And it wants you to talk to it so that it can carry out your banking transactions for you. Hitherto, one needed to use SMS to access banking services. Consider the case of someone who wanted to find out if a check presented had been encashed and the amount credited to his/her account. He/She would have to type in something like BALANCE 1234567890* and message it to a prespecified number. Now, with the chatbot, the user can simply type in “What is my account balance?” and he/she gets the information in real time. Alternatively, he/she could ask “Has my check been encashed and the amount been credited?”. If the check has been presented for clearing, but the amount not yet received, the chatbot will provide you with that information. With Artificial Intelligence powering it, the chatbot understands that you are referring to the most recent check presented. To guarantee that its communication is clear and free of all ambiguity, it will mention the check number and the date on which it was presented. In case multiple checks were presented on the same day (and this is the most ‘recent’), the chatbot informs you of the status of all these checks. In short, if you can think it, all you need to do it type it out – and the DBS Bank chatbot will answer your query. and this is after you have entered SGD50 as the amount you would like to pay. The language used is conversational, not formal. This makes it less intimidating for users. The end result is that they are likely to chat with it more. There is more engagement, and the chatbot also improves because of its self-learning capabilities. DBS Bank’s chatbot gets a 4 out of 5. A better user interface is always welcome, and that explains the missing star. The functionality is top-notch. One can only presume that that the simple UI was to enable it to run on mobile devices that have limited processing power. After all, half of all internet access happens on smartphones, and every millennial has one. Perhaps it was to cater to this generation that the chatbot looks simple – it is them that carry out the most banking transactions online. Older people are less conversant with technology. 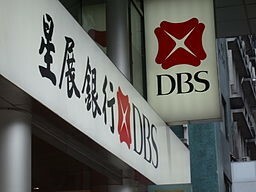 There is no doubt that as smartphone technology improves and they become more powerful, the DBS Bank chatbot will also improve. After all, it packs a lot of punch already!